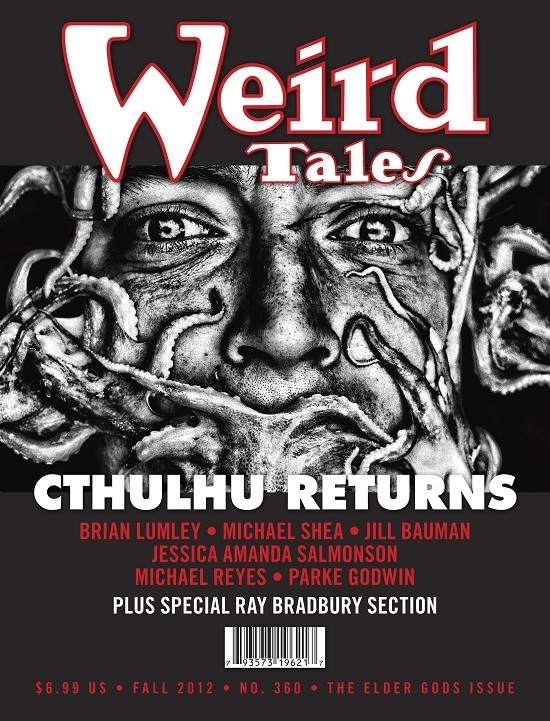 Weird Tales is celebrating its 90th anniversary this month, a magazine that has suffered more than a few fits and starts in its existence. The first editor was canned after 13 money-losing issues. When asked to take over the reins H. P. Lovecraft turned down the magazine’s founder J. C. Henneberger because he didn’t want to relocate to Chicago. “Think of the tragedy of such a move for an aged antiquarian,” the 34-year-old writer proclaimed. Weird Tales enjoyed a sustained run from 1923 to 1954. Then it suffered many changes in ownership and long gaps in publication — although it may be in the spirit of things that a magazine about the weird and macabre has needed to be resurrected from the dead so frequently. The last revival seems to have taken. Since 1988 the magazine has made a transition to the internet, won a Best Semiprozine Hugo (2009), and survived a major kerfuffle that cost it a couple of well-known contributors. 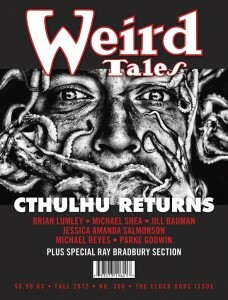 This entry was posted in Like Show Business and tagged Lovecraft, Weird Tales by Mike Glyer. Bookmark the permalink.